So more than once I have mentioned how much I love, love, LOVE Janette Rallison's books. And its still true. It will always be true. I was SO happy when she agreed to be part of the bash. Check out this fabulous interview with her, and then enter the giveaway! Do you have any interesting birthday stories? Hmmm. Not really. Makes me think I should do something interesting next birthday. Every time my children complain about not being old enough to do something, I offer to give them one of my birthdays so they can grow older and I can grow younger, but so far I've never managed to cheat time that way. We recently discussed this on Squeaky Books: How do you feel about “love at first sight” in novels? I've known people who've fallen in love at first sight and it worked out great for them. I fell in love at first sight once (attractive guys will do that to you) and the guy dumped me after three months--so that time around I was not such a fan of love at first sight. Also readers want to experience falling in love with the hero. If the heroine for no particular reason immediately loves him, the author is robbing the reader of that falling in love feeling. When my kids were young I could manage to write in chaos and noise. Now I need quiet. Chocolate is good too though. You often set your books in places you’ve lived. What do you think of the old mantra “write what you know”? It's much easier to write what you know. Right now I'm working on a book that has scenes in Boston and Egypt. I've never been to either of those places and it's driving me crazy to try and write about them. Seriously, I keep threatening my husband that I'm going to get on a plane to Boston or Egypt or both. Youtube is great for showing you all sorts of things but sometimes you just need to experience the places you're describing. Unless of course you're writing stories about say, death, murder, or hell, and then I don't recommend realism. The most enjoyable to write was My Fair Godmother. If you want to liven up your manuscript, throw in the Seven Dwarves and a dragon. Gold. Guarenteed. I don't think I ever got writer's block while working on that novel. Just One Wish was probably my most difficult to write--not that I got stuck on it. It just made me really sad to research children with cancer. I cried while writing a lot of scenes and while revising them. And I do a lot of revising so that meant a lot of crying. I don't know how authors who write a lot of sad novels manage to do it without being an emotional wreck all day. You’re at the grocery store, stocking up on food. 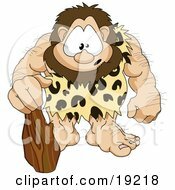 Just then a domineering barbarian requests a favor from you. What favor would it be? He shakes an ice cream carton at me and demands to know who in their right mind thinks a serving size of ice cream is a 1/2 a cup. I stammer that the ice cream industry is obviously run by Lilliputians. He grunts in agreement and asks me to point out a dessert made by normal size people. I point him to the cookie isle, then flee from the store before he can check out their serving sizes. Two Fig Newtons? Snort! Who eats only two? Laughter is good for you. Therefore reading my book is like working out--only more fun. 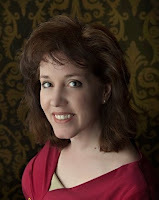 Another author interview that made me laugh :) I swear, this is so much fun learning about some of these amazing authors! I've been wanting to read My Fair Godmother for quite a bit! Awesome interview AND giveaway! Brilliant interview. I've been wanting to read these books ever since i saw them on goodreads. I've loved all the books by Janette that I have read. I haven't read any that are up for grabs! Got my fingers crossed! I LOVE Janette, but somehow I don't think I've read any of the books up for grabs! Awesome. Janette is awesome as are her books! I'm up for a trip to Egypt anytime, just call me! I loved Just One Wish! Janette is a nut and she is way too skinny to even know about a serving of ice cream:) Fun interview. Her books are ALL fabulous! You mean the recommended serving size of ice cream isn't half a gallon? Then why do they sell it that way? I loved the interview. 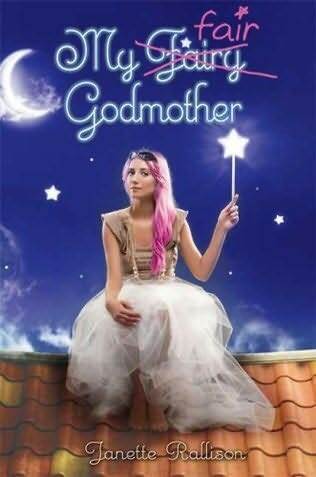 I've never read any of Janette's books, but Fair Godmother looks very humorous. I LOVE Janette's books. I have read every single one of hers, even the ones that you can't get anymore. It's great to have something that is totally YA, but I can relate with and makes me laugh out loud!